Pat and Karen Schatzline, are Evangelists and Authors, who travel all over the world preaching the gospel. Their ministry, Remnant Ministries International, is one that is marked by God's outpouring and a Spirit of refreshing which follows them. Their books include: "Why is God so mad at me? 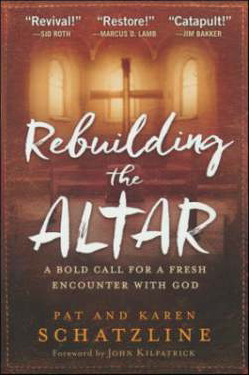 ", "I am Remnant", "Dehydrated", "Unqualified" and "Rebuilding the Altar". Pat and Karen simply desire to help people find a deeper walk with Christ! This blog is a teaching offered by their ministry. I have said for years, “the greater the anointing, the greater the isolation”. I know what it is to feel hidden, to feel alone, to feel put on the shelf or to feel like you are in the wilderness. Are you feeling that way? I think a lot of us are. Can I encourage you and tell you I feel in my spirit that God is about to make you His big reveal! 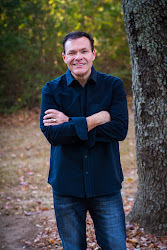 Recently the Lord gave me this word, “Are you Hidden?Then I have good news for you! God has His telescope to His eye! He is searching for the “Hidden!” These are those that are leaving isolation to help lead His visitation. God is bypassing those that have become so entitled that they smell like green rooms and not sheep, so narcissistic that they look past the hurting and stare at the mirror, so self-reliant that they can now avoid the secret place, and so greedy for acceptance that they have chosen relevance over the reverence. You see, God always chooses the ones that have disappeared into anonymity in order to learn how ravens feed and brooks keep bubbling. The marching orders are being sent out to the forgotten. The orders are clear.... “Decrease and He will increase. Catch aflame and they will come watch you burn! Declare the hope of the cross and exalt His name. Reach the hurting, lost and broken for they are future citizenry of heaven!” “Yet, Even Now!"" It is in the waiting season that God does His greatest work. We tend to only like God’s timing if it is according to our time (chronos) instead of realizing we must wait on His timing (kairos). Often times we believe that God has placed us in “time-out” or the “wilderness-season” due to our lack of gifting, our circle of influence, our knowledge or even our stage persona; but actually, it is because He is a good Father, He is protecting you from the image that culture desires to create. Philippians 1:6, “being confident of this, that he who began a good work in you will carry it on to completion until the day of Christ Jesus.” You are the preciousness of possibility! There is an obscure story found in 2 Chronicles 22:10-12, “When Athaliah the mother of Ahaziah saw that her son was dead, she proceeded to destroy the whole royal family of the house of Judah. But Jehosheba, the daughter of King Jehoram, took Joash son of Ahaziah and stole him away from among the royal princes who were about to be murdered and put him and his nurse in a bedroom. Because Jehosheba, the daughter of King Jehoram and wife of the priest Jehoiada, was Ahaziah’s sister, she hid the child from Athaliah so she could not kill him. He remained hidden with them at the temple of God for six years while Athaliah ruled the land.” He remained hidden for six years. I want to talk today to those who feel the stirring of incompleteness. Those that feel like they have been hidden for a season. Those who have dreams yet fulfilled. We all want an exit door to our desert. Truth is that every major thing God has ever done is spun in secrecy. I believe you have been hidden so God can separate you for your next! God always calls His special people out of the crowds and puts them in the alone place to do something in them and through them. Sometimes rejection is protection. It is in the waiting room that God does His greatest work. Why do you think all through God’s Word he would hide key figures in the early years?! Joseph was in hiding for 20 years; Moses was hid for 40 years. David in the field was hidden as he killed the lion and the bear. He was even hidden from Samuel when he first appeared and had to be brought from the field. 1 Samuel 16:7, “But the LORD said to Samuel, "Do not consider his appearance or his height, for I have rejected him. The LORD does not look at the things people look at. People look at the outward appearance, but the LORD looks at the heart." God waits until you are ready before he reveals you! We must protect the anointing from the anointing thieves. Parents today have every kind of party, even a gender reveal party. Well, can I tell you that Heaven is about to have an anointing reveal! It’s not pink or blue! It is Gold and Purple. The colors of the anointing - God is about to awaken priests and kings! Joash was hidden in the house 6 years. Six years! That’s right six years of hell would lead to 40 years of blessing! But then, II Chronicles 23:1 says, In his 7th year, Jehoiada showed his strength! Johoiada restored the priesthood. The name Johoiada means, “Yahweh knows!” Then he said, “come here Joash, it is time to make you the leader.” Joash reigned for 40 years. God hid Joash for six (6) years, hid him until it was time. See, Athaliah had wanted to kill the children, destroy the House of David. The Athaliah spirit is the daughter of Jezebel, it not only kills the anointing but tries to make sure it never reaches maturity. Athaliah wanted to kill the anointing, kill the House of David. She was trying to kill the seeds of royalty but one woman hid the preciousness of possibility that God had ordered. God sometimes hides what He needs to protect until it is ready to overcome! 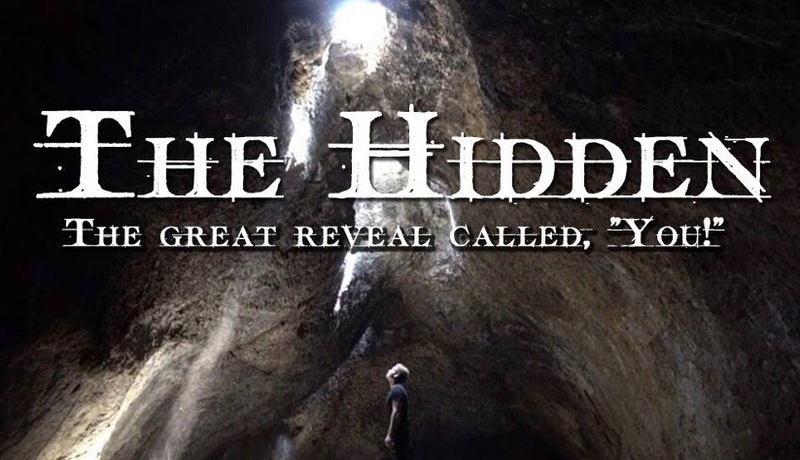 Out of your hiddenness can come the greatest revelation of God’s purpose! Joash was hid so the House of David stayed protected! God’s big reveal would come from the House of David. It would come in Jesus. Romans 1:3, “The Good News is about his Son. In his earthly life he was born into King David's family line.” If Joash needed to be hid for a season, don't mistake the hiding in your life, you cannot kill what God put in order! Get ready to come out of hiding! God is ready to use you and you are needed for this next great awakening. It is time to dream again! Think of the life of Joseph, he had to go from dreamer to worker to prisoner until he became ruler. The dream had to process while he was hidden but at the appointed time he came out of hiding. I believe your appointed time is now and God is ready to have a reveal party with your name on the box. You are the hidden! You are the preciousness of possibility! 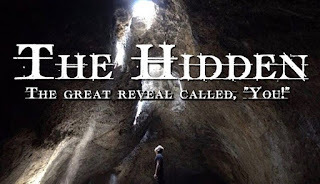 Watch this powerful message and get more insight on "The Hidden"! Brother .ive been prophecying for months ..the great reveal ...that the lord first greatly revesls revelationn to us before he reveals us ....so i shared with a sister ...she then drives down a road where a water tower has been restored and painted ...and is waiting on its BIG REVEAL...GLORY thanks for your faithfulness insending forth the word of the lord.. Awesome word and so on time. I can totally relate to this. I have been asking God why it seems like I've been kept from connecting deeply with anyone. I just couldn't understand it until now. The Death Of Me: Created for a Greater Purpose!